What happens when you take a B list actor and place him as the lead singer in a band that developed from a film that got a 0% on Rotten Tomatoes? You guessed it, music that’s pretty hard to listen to. 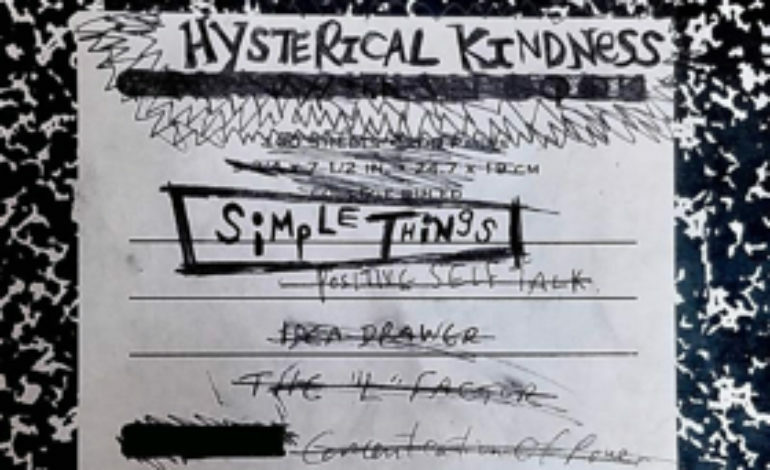 If you’ve never heard of Hysterical Kindness, that’s because this is their first album. Let’s get to it. Good news first. Break apart this trio made up of Emile Hirsch, Chris Sayre and Brian Cohen, and you’re looking at some talent. Chris and Brian have both put years into the business, paving the way for their own careers while consistently producing for some pretty big names (Ciara, Flo Rida and more). Chris Sayre is self-taught on over a dozen instruments and his musical talent in combination with Cohen does not go unnoticed on this record. A couple highlights include the perfect banjo building on opening track “You,” the fast paced nature of “Secrets Told” with just the right inserts of soft fiddle on top of quick banjo picking, and a really gorgeous closing tune of “Quiet Man,” that we cannot overlook. All that said, these musical moments seem to be the only highlights from this album that is led by actor Emile Hirsch on vocals, who should definitely stick to acting. The elementary lyrics don’t play in his favor either with lines like “Fear was in my face / A hesitation of contemplation / Afraid to find my place / A journey surely strange,” on the track “All My Ways.” As the album plays through, it honestly sounds as if we’re listening to something written by a sixth grader for a poetry school project. All in all, gotta commend the guys of Hysterical Kindness for coming together to create some tunes after hitting it off on set of a film, nothing wrong with that! What is wrong though? Almost every track on this album.